MASKerade: Muse 55, OLS2 - Thanks! Muse 55, OLS2 - Thanks! 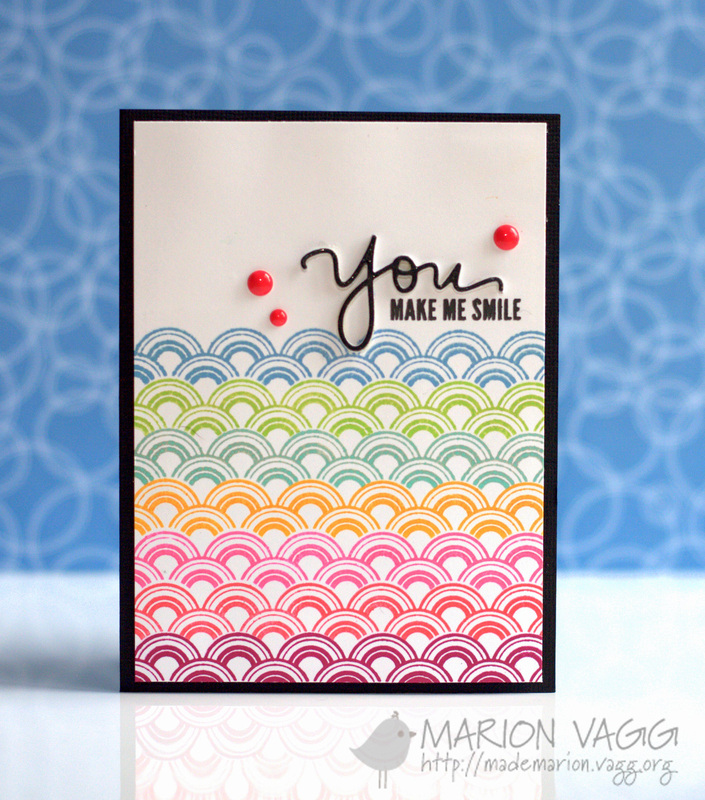 A quick, one-layer card for this week's Muse and this month's OLS challenges. And just in the nick of time. We've had so much snow here and today it's warming up and we're supposed to have up to 50 mm of rain and possibly even thunderstorms! There's a real risk of flooding since most of the catch basins and sewers are covered in snow and ice. Wouldn't it be nice to see a rainbow tomorrow morning when it's all finished! I used my favourite Inkadinkado Thanks stamp and repeated (for OLS - Can You Repeat That) an old Papertrey stamp from Faux Ribbon. I hope you can join us for both these challenges. Muse's deadline is Monday at 8:00 am. Then voting will take place until Tuesday at 8:00 am and the results will be posted on Tuesday at 12:00 pm. OLS is closing at midnight on Monday, and then the 'Details' post will go up later in the week and our new challenge will start on Saturday March 1. 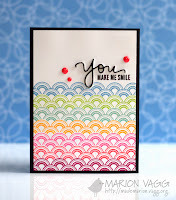 Love the lines of color under the black sentiment! Whew! For a minute I thought you stamped all those dots individually. Not that you couldn't and do just as spectacular job of it. "Spot on!" 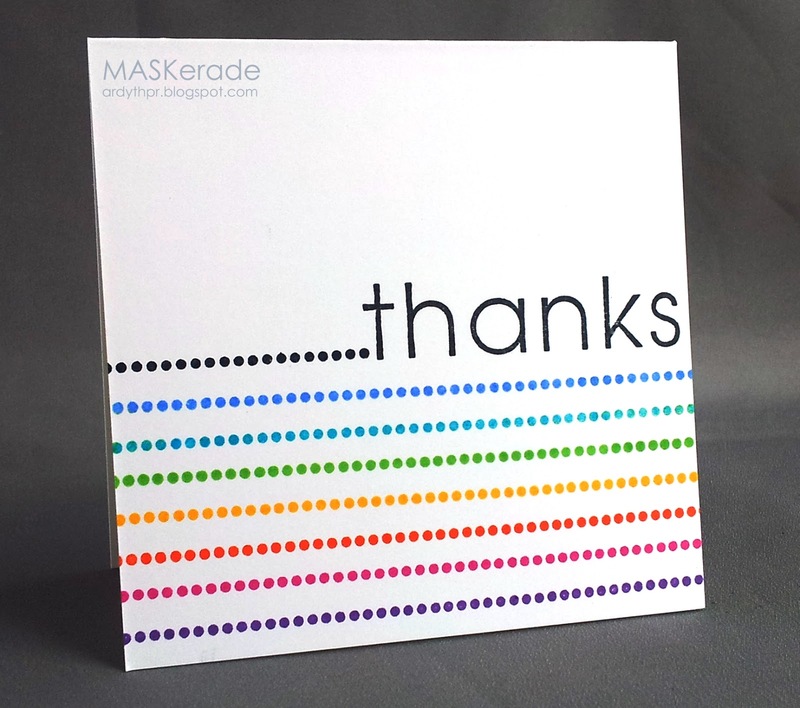 Your stamped images are flawless and INCREDIBLE once again!!! Now talk about the perfect design...you totally nailed this one! Love this rainbow--hope you got a real one, too.